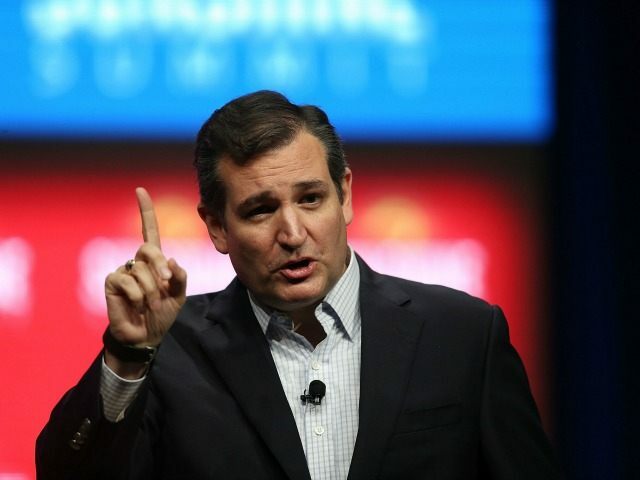 Homeschoolers to Ted Cruz: We Don’t Want the Government’s Help! In a piece published at Breitbart News and titled, “Don’t Believe the Lies that Ted Cruz Hates Homeschool Freedom,” Homeschool Legal Defense attorneys Will Estrada and Mike Donnelly share their opinion on the growing confusion surrounding Ted Cruz and his education policy. The premise for their article is a “little known blogger” who apparently created a social media tsunami so strong the attorneys felt the need to provide emergency relief to the Cruz campaign. They are both supporters of Senator Cruz and that is part of their role. HSLDA and Senator Cruz support the legislation which deems a homeschool a “private school” for the purposes of Coverdell Education Savings Accounts (ESAs) and allows Title I federal dollars to follow the student to a private school. This puts many homeschoolers at odds with both the organization that is supposed to defend them and, if elected, the next President of the United States. Many homeschoolers disagree with the legislation and the intent to “fix” a perceived wrong. The federal government rarely fixes anything and often makes it worse. A large and growing number of homeschoolers just want to be left alone. We’re not a victim of discrimination. We are families who make the choice to educate their children free from government interference of any kind. That means that we cannot participate in public high school prom and federal education savings accounts. Most accept that trade-offs come with any choice. Categorizing a family as a private school for the limited purpose of Coverdell concerns many homeschoolers. Education is a state issue. Some states may already define a homeschool as a private school, but education is under their jurisdiction. Any “help” the federal government provides for homeschool expenses could come as they seek to define “eligible education expenses.” Do home educators really want the IRS auditing homeschoolers and deciding if a Bible is a legitimate educational expense? HSLDA attorneys claims this will “fix” the discrimination, I see it as creating a regulatory nightmare based on qualifying receipts. Some have asserted that S 306 is dead and no longer a concern. I disagree. Bills represent ideas. Unless those ideas are challenged and defeated the idea could find its way back into future legislation. Therefore, the idea must be challenged, not just the bill. We don’t accuse you of hating homeschoolers, Senator Cruz. It’s actually the opposite. We worry that you want to “help” us a little too much. Karen Braun is a homeschool mom of six and a strong advocate for educational freedom. She is the lead content writer for the Stop Common Core in Michigan website. Karen has spoken on behalf of educational freedom for over 20 years. Her written work has appeared on the American Thinker, The Old Schoolhouse Magazine, Crosswalk.com, and other websites. She can be reached via Facebook at https://www.facebook.com/SpunkyHomeschool.